Ortho Sport & Spine Physicians is proud to offer patients a superior level of care using musculoskeletal ultrasound to better perform our services and improve your results. Ultrasound technology is a non-invasive method that can significantly improve the success of Interventional Sports Treatments and other orthopedic and spine procedures. If you need injection therapy following an injury, choose Ortho Sport & Spine Physicians for the most advanced treatments available, including the latest ultrasound techniques. The overall advantage of choosing our musculoskeletal ultrasound technique is quite simple; the more we can see, the more we can do for you. 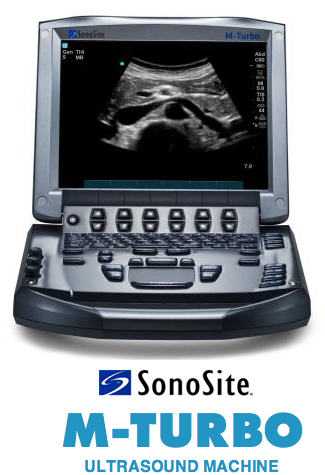 Our Sonosite M-Turbo system is one of the latest advancements in ultrasound technology, allowing our physicians to see all of the tissue layers, blood vessels and nerves as well as the tendons, muscles and ligaments that need medical treatment. By using ultrasound, our physicians can accomplish more efficacious injections and increase patient safety. At Ortho Sport & Spine Physicians, we use ultrasound guidance to perform injections that are safer, more effective and more precise. Other practitioners may offer blind trigger point injections without ultrasound. In many of these cases, the injection is conservatively performed and only penetrates the fat layer, not the muscle which can decrease the effectiveness of the injection. Practitioners are justifiably trying to avoid an injection that is too deep which can cause complications like pneumothorax. Our ultrasound guided trigger point injection technique helps our doctor’s place your medication exactly where it needs to be providing a more effective and safer delivery method. Ortho Sport & Spine Physicians is a reputable orthopedic and spine care facility that offers patients a depth of research and training on the use of ultrasound and better injection techniques. We specialize in using ultrasound during brachial plexus, femoral and sciatic nerve catheter placement for post-operative pain control following knee, shoulder and upper extremity surgery. We also have a deep expertise on using ultrasound technology for lumbar plexus catheter placement as well as ischial bursa injections. Contact us today to learn how ultrasound can improve your injection therapy or other orthopedic treatment. We are committed to using the latest technology and techniques available to give our patients the best results possible!